The Onkyo TX-NR636 has great connectivity--supporting Wi-Fi, and Bluetooth--and offers a free control app. 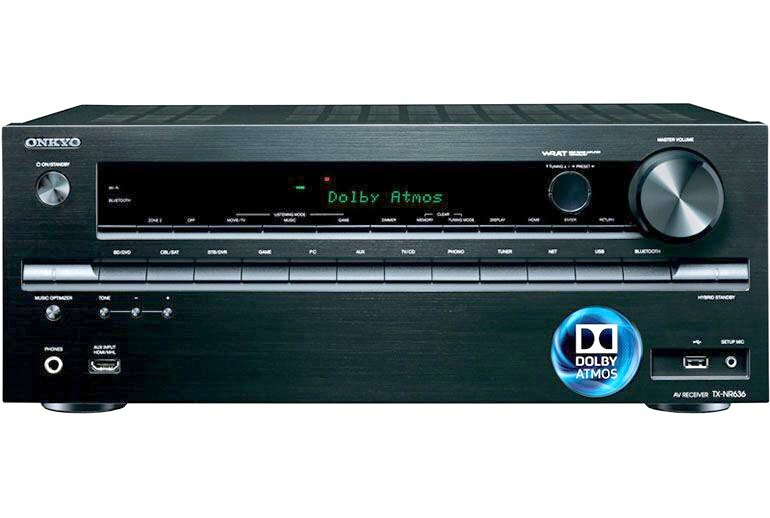 The TX-NR636 supports Dolby Atmos and high-resolution audio streaming with services such as Spotify, Pandora, and SiriusXM. Support for HDMI 2.0 and HDCP 2.2 means this receiver os more future-proof than other models. The onscreen display is minimal; menus are unintuitive and hard to read. The bass could be punchier and tighter. The 4-ohm speakers require an external amplifier. The TX-NR636 is Onkyo’s latest entertainment system, and this home theatre addition comes with 7.1 surround sound, 95 watts into 8-ohm output, and Dolby Atmos, with support for Wi-Fi and Bluetooth. You can connect with a free Android or iOS app to control the system or stream music with Pandora, Spotify, or other Internet radio services. 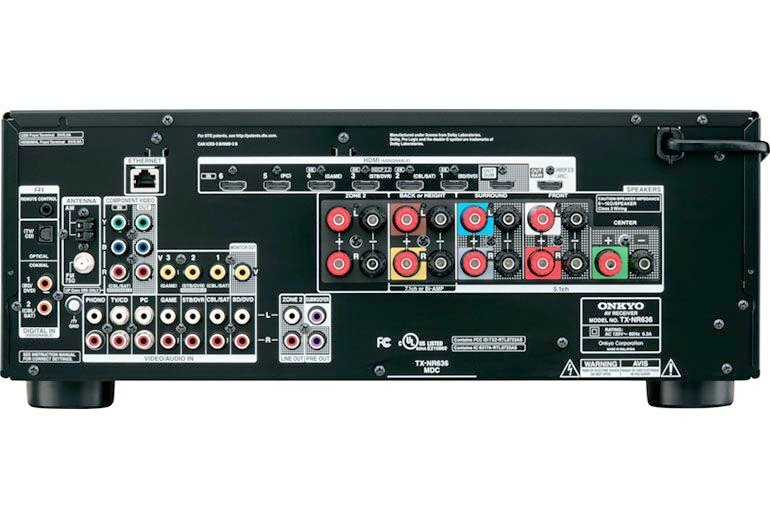 Connect the TX-NR636 with seven HDMI inputs and two outputs, three composite video inputs and one output, six analog audio inputs, phono input, and two subwoofer pre-outs. The included remote gives full control from your easy chair. The HDMI 2.0, HDMI video upscaling to 4K, and HDCP 2.2 protect you from future changes. In addition to great sound, the TX-NR636 is bursting with ports, so it should cater for a wide range of home cinema setups. Perhaps most importantly, it is future-proofed to handle all kinds of 4K content with support for HDMI 2.0 and HDCP 2.2. As is always the case with Onkyo's receivers at any price point, I found the setup menus to be an absolute pleasure to navigate. 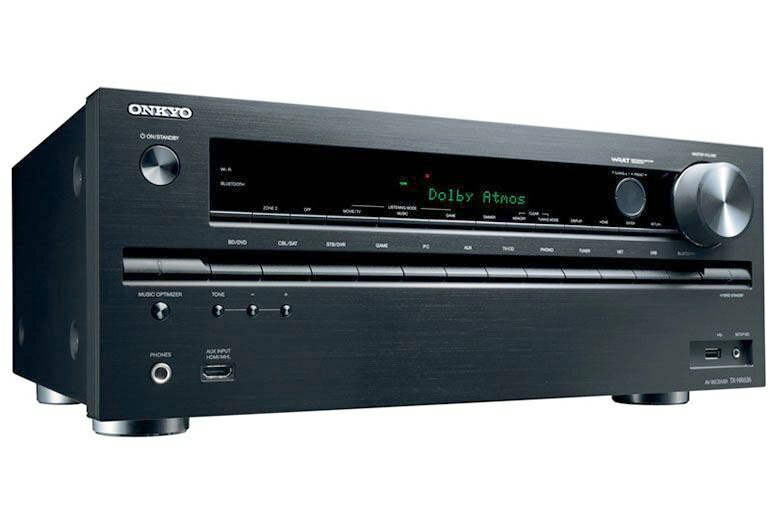 In the area of connectivity, the Onkyo TX-NR636 really shines. It has a very impressive 7 HDMI inputs. The 636’s inputs are HDMI 2.0 compliant as well as HDCP 2.2 compliant. 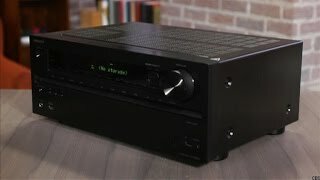 The bottom line is that you get excellent sound and picture and unless there's something very specific you need in a higher end unit, you get a lot for your money with this. 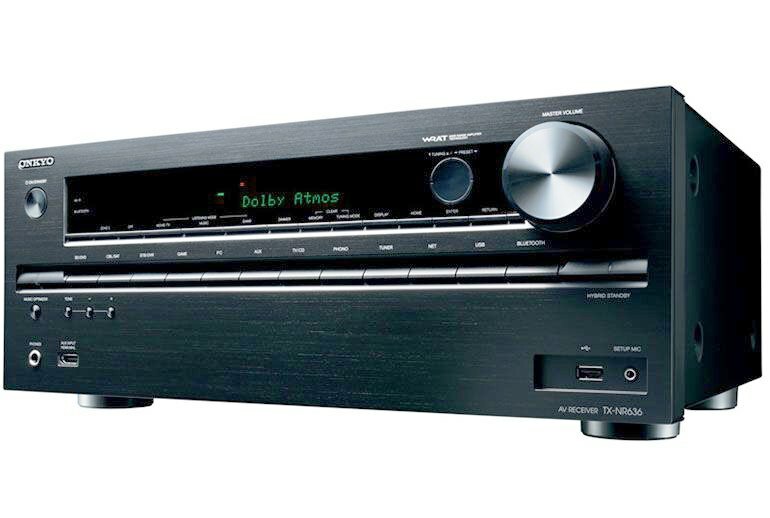 The reason the receiver doesn't get top marks isn't because of something Onkyo has done wrong necessarily, but what its competitors have done right: the Sony STR-DN1050 offers better performance and a better interface. I gave the TX-NR636 a mixed Ergonomics score. Menus blinked up and down with satisfying speed, and once I got past the labeling confusion, they proved easily navigable. 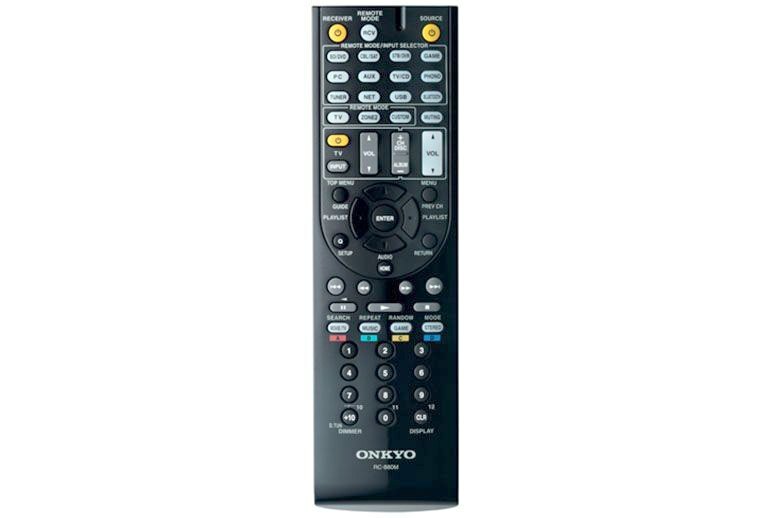 I found Onkyo’s new, more compact remote to be just OK.
We’re disappointed that a front-mounted USB port still only supports playback from USB keys rather than an iPhone or iPod. ... these receivers offer fantastic features for the price and should do well for the company. Between HDMI 2.0, integrated Bluetooth and WiFi, and low prices, Onkyo looks to have winners on their hands.